In principle your landlord is not allowed to increase your rental price. This is only allowed if your basic rental price is below or at the legal maximum. If your rent is higher than legally permitted, obviously your landlord is not allowed to increase it even more. Calculate your maximum permitted rental price through our online rent check. 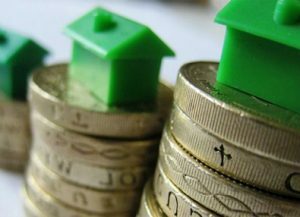 The government decides your rental price can only be increased once every twelve months with a legally established percentage. For July 2018 the base percentage for tenants of a room is 2,9% and for tenants of an apartment the percentage is 3,9% or 5,4% depending on your yearly income. A proposal to increase your rent should be sent at least two month in advance. The proposal should mention the old basic rental price and the new basic rental price. It should also include the percentage or amount of the increase. Finally the proposal has to mention the way you can object against it. If the proposal sent to you does not match these criteria, you don’t have to pay the rent increase. Object against a rent increase with this form. Do not forget to make a copy for your own administration. – if you started a rent reduction procedure based on the presence of defects. After you have sent your landlord the form to object a against the rent increase proposal, you do not have to pay the increased rent. If you are not sure if you should pay the rent increase, contact us for an appointment, free of charge. We are happy to help you prevent the rent increase from happening and maybe we could even help you to reduce your rental price.